By taking the time to understand the college admissions process in detail, you will have a better framework for making a decision for your future. Learn where to begin your college search and receive a set of critical questions to use as a decision making platform. Find out how to best leverage the information available, both online and offline, to help you find the perfect college match for you. Making a plan to succeed is a two-part approach: practical and mental. Practically speaking, you need to execute on the basics such as organization, effort, and communication day in and day out. The second piece is to ensure your mental approach is solid. Having a positive mental outlook and a growth mindset will help you confidently move closer and closer towards your stated objectives in life. The College Information chapter will break down the nuts-and-bolts of what to look for when performing a college search. From admissions requirements to programs offered, gathering the right information is a vital step in the process. Looking at a college or universities from a holistic standpoint is a larger investment of time, but will likely yield a better match for you. 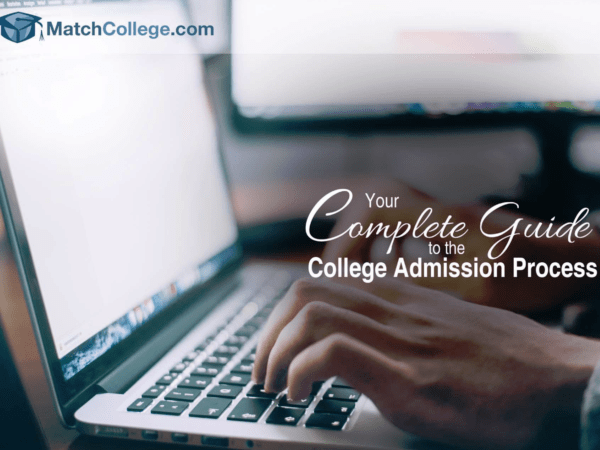 From the college application process to standardized tests to letters of recommendation, the piece-parts of the college admission process must be digested and integrated into your arsenal. The more closely you adhere to the rules of the game, the better your odds of getting things done on time and presented properly to the college admissions team. This chapter will dive even deeper into the college admissions process. By having more granular information about the process, you will be better prepared than most prospective students and be able to stay on track despite the tumult. Tip: make sure to be yourself and highlight your unique talents in an authentic manner. For many students, financial aid can be confusing and frustrating. Read and re-read this chapter to understand the rules of the game, the formula for financial aid, and resources available to help you navigate financial aid. Do not allow a lack of understanding hold you back from successfully navigating the college financial aid process. It is possible, you may not get accepted into your college of choice. This chapter will provide guidance and tips to help you navigate the reality of receiving a rejection letter or wait-list letter from your top college. We provide ideas to aid in the decision making process and make a solid decision for your future. In this chapter, we spend time outlining the college transfer process. By understanding the difference between a reverse transfer and lateral transfer, you will be equipped to navigate the transfer process more deftly. While it may not be a reality for everyone, a transfer can be a fantastic decision for some students and help propel them towards their short-term and long-term goals. For students living abroad and looking to attend a college or university in the United States, you need to understand the college admission process very specifically. Get the information you need by reading Chapter 9 and preparing yourself for a college experience in the U.S.
As an added bonus to our loyal readers and diverse fan base, we have gathered a litany of resources for college-bound individuals. The resources include articles for high school freshman, high school sophomores, high school juniors, high school seniors, adults looking to attend college, managing stress, developing time management skills, creating a college budget, college for students with disabilities, preparing for the TOEFL, information for homeschooled students, and resources for students with an IEP or 504 Plan.